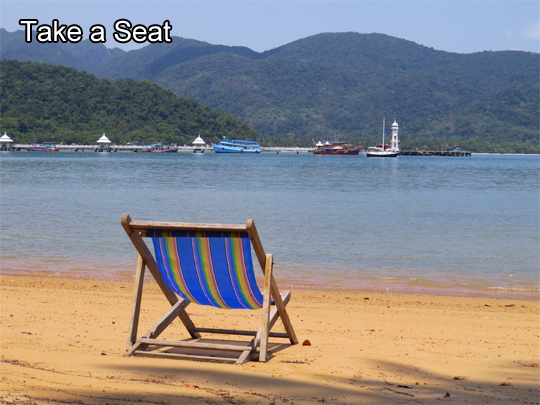 This week's update to the Koh Chang Guide April 9 2015. A friend sent me an old postcard of Koh Chang that he had bought here a few years ago. The photo itself was far older. So I decided to do a comparison between the picture on the card and the current view. As you can see it’s impossible to get the same view. There are bungalows blocking it and also the trees by the shore have grown a lot. However, those old bungalows are there and they haven’t changed – possibly had a coat of paint but they haven’t been rebuilt or renovated in the past 15 years or so. 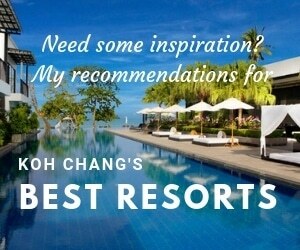 If you’re into Koh Chang nostalgia. These are the oldest photos I have of the island, taken by a German travel writer and photographer in the early 90s. I’ve also just been sent a few from 1996. The best is this one I added for Facebook.com/iamkohchang showing houses on the river where we live. If you’ve got any Koh Chang photos from years ago, I’d love to see them. Something else I’d been thinking of doing but hadn’t was a guide to riding a scooter around Koh Chang. 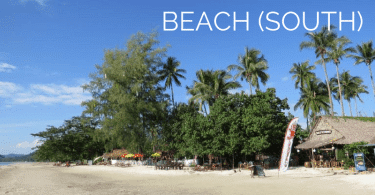 This is done and I’ve also added real time videos of the ride from the ferry pier in the north east of the island to Klong Kloi beach on the southern coast. Hopefully they will answer all your questions about what it’s like riding a scooter here and you’ll get an idea why some stretches of road have a lot of accidents. It’s also handy to see the route for yourself on video rather than just reading a description or looking at a few photos. And Chantaburi now has a cat cafe – which is a surprisingly fun way to enjoy a good coffee and play with some Persians if you happen to be passing by. Gatto Cat Cafe, located on the Chantaburi junction – opposite the Shell gas station. Quick kayak trip along the ‘Amazon of Koh Chang’ a.k.a. 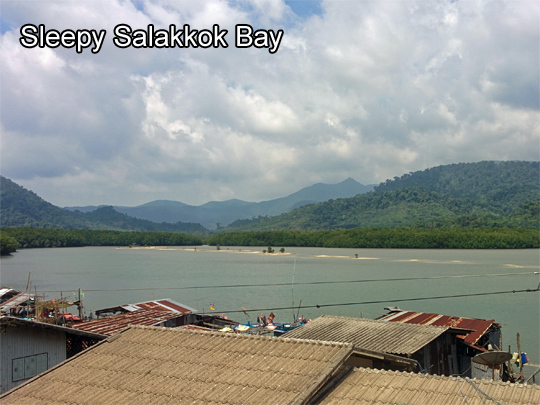 the river estuary in Klong Prao. I tell all out guests to go for a paddle here but I seldom do – so it thought it was about time I had a little paddle upstream from our house. If you’re staying anywhere in the Klong Prao area and have access to a kayak, then it’s a very nice detour off the beach. And one that very few people do. It’s pretty much the end of High Season now which mean Construction Season is beginning. The popular Palm Beach & Lay Lay Tong restaurants on Klong Prao beach will soon be torn down to make way for the expansion of Flora I-Talay Resort. Leaving the north end of the beach with no standalone beach restaurants. In the centre of White Sand beach the old tiger bungalows and a couple of roadside tailors & massage shops have now been reduced to rubble. presumably for more hotel rooms. Next week is the Songkran ( Thai New Year ) holiday. Expect a bit of tradition if you go to Klong Prao temple from 11 – 15 when the Songkran fair will be held and also in Salakphet from 1`7 – 19 April, when they are having belated Songkran festivities. Expect to get wet if you’re anywhere near the main road between late morning – late afternoon. Early morning and in the evening you’ll be safe, no-one will be throwing water. If you’re arriving and taking a pick up truck taxi from the ferry pier, expect to get very wet – along with your bags. You’ll be ambushed and will be sitting targets when you pass through White Sand beach where dozens of people armed with ice cold water guns await.